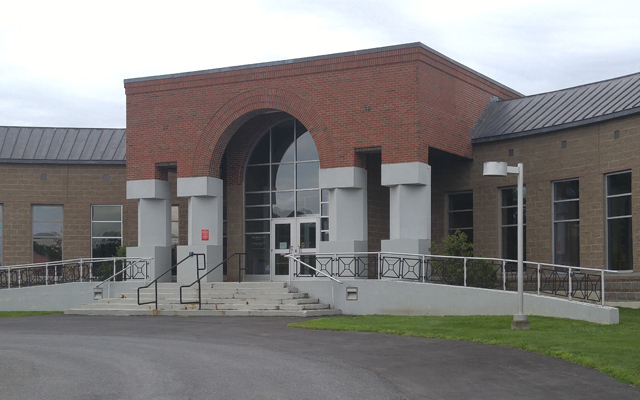 The following cases were heard under the Aroostook Criminal Docket at the Presque Isle courthouse during the month of December 2018. PRESQUE ISLE, Maine — The following cases were heard under the Aroostook Criminal Docket at the Presque Isle courthouse during the month of December 2018. Cody Durand, 21, Ashland: burglary, dismissed; criminal mischief, five days in jail, $1,303.70 restitution. Samuel J. Ingersoll, 25, Caribou: domestic violence assault, dismissed; eluding an officer, 87 days in jail. Michael L. Ring, 25, Mars Hill: operating under the influence (alcohol), $700 fine, seven days in jail, three-year license suspension. Dustin MacDougal, 24, Limestone: operating while license suspended or revoked, filed on $200 costs. Tyler Chasse, 19, Greenville: domestic violence assault, dismissed; disorderly conduct, offensive words, gestures, $500 fine. Margo Sue Ferrier, 29, Easton: theft by unauthorized taking or transfer, dismissed. Margo Sue Ferrier, 29, Perham: unlawful possession of scheduled drug, $400 fine, seven days in jail; unlawful possession of scheduled drug, $400 fine, 48 hours in jail; refusing to submit to arrest or detention, physical force, 48 hours in jail; violating condition of release, 48 hours in jail. Patrick S. Keegan, 49, Presque Isle: theft by unauthorized taking or transfer, priors, 120 days in jail. Christopher R.Cyr, 40, Presque Isle: theft by unauthorized taking or transfer, priors, 30 months in prison; violating condition of release, 30 days in prison. Brenda Sue Smith, 35, Madawaska: theft by unauthorized taking or transfer, 40 days in jail, $40 restitution. George E. Peaslee, 39, Presque Isle: assault, dismissed; violating condition of release, dismissed; theft by unauthorized taking or transfer, 60 days in jail; violating condition of release, 60 days in jail; eluding an officer, 299 days in prison; driving to endanger, dismissed; motor vehicle speeding: 30-plus mph over speed limit, 60 days in jail; passing a road block, 299 days in prison; assault on an emergency medical care provider, 299 days in prison. Mackenzie A. Chamberlain, 20, Caribou: theft by unauthorized taking or transfer, $300 fine. Parry Corey Gagne, 21, Portage: domestic violence assault, five days in jail, probation partially revoked. Margo Sue Ferrier, 29, Perham: unlawful possession of scheduled drug, $400 fine, five days in jail, $120 restitution; violating condition of release, five days in jail. Joshua J. Easler, 30, Presque Isle: unlawful trafficking in scheduled drugs, $1,000 fine, five years in prison all but 18 months suspended, two years probation, $260 restitution. Matthew R. Flewelling, 30, Bridgewater: operating after habitual offender revocation, prior, $1,000 fine, nine months and one day in prison. Bayleigh E. Voisine, 28, Mapleton: illegal possession of firearm, $500 fine, 30 days in jail. Marvin D. Burch, 29, Hollywood Fla.: operating vehicle without license, filed on $100 costs. Dallas R. Tidd, 51, Presque Isle: OUI (alcohol), two priors, dismissed; operating vehicle without license-conditions/restrictions, 30 days in jail; OUI (alcohol), one prior, $700 fine, 30 days in jail, three-year license suspension. Margo Sue Ferrier, 29, Perham: violating condition of release, $400 fine, 48 hours in jail. Steven J. Libby, 27, Limestone: driving to endanger, dismissed; violating condition of release, dismissed; reckless conduct, $700 fine. Eric M. Condon, 32, Easton: misuse of public benefits instrument, $250 fine, 48 hours in jail, $13.13 restitution; theft by unauthorized taking or transfer, dismissed; violating condition of release, 48 hours in jail; operating while license suspended or revoked, prior, $500 fine; violating condition of release, 48 hours in jail. Gary Barton, 58, Presque Isle: operating vehicle without license, dismissed. Michael J Robinson ll, 31, Presque Isle: domestic violence terrorizing, dismissed; criminal mischief, dismissed; domestic violence assault, dismissed. Ralph D. Levesque, 31, Presque Isle: domestic violence assault, dismissed; disorderly conduct, offensive words, gestures, 14 days in jail. Colby L. Doucette, 27, Chapman: criminal mischief, dismissed. Taylor S. Condon, 26, Ashland: displaying fictitious vehicle certificate, $250 fine; violating condition of release, $250 fine. Jessica M. Jones, 28, Presque Isle: violating condition of release, 90 days in jail. Joshua J. Clark, 25, Presque Isle: OUI (alcohol), dismissed; failure to stop, provide information, dismissed. Brandon Green, 23, Mapleton: eluding an officer, 13 months in prison; theft by unauthorized use of property, 12 months in prison; escape, dismissed; aggravated criminal mischief, 13 months in prison, $13,367.73 restitution. Margo Sue Ferrier, 29, Perham: violating condition of release, five days in jail. Megan Wilson, 26, Oroville, Calif.: assault, $300 fine. Martha Dunn, 40, Caribou: assault, $300 fine, 48 hours in jail. Michaela Neal, 23, Presque Isle: operating while license suspended or revoked, prior, $500 fine. Jacob C. McKenney, 19, Mars Hill: theft by unauthorized taking or transfer, filed on $200 costs. Garett Achorn, 31, Mapleton: operating while license suspended or revoked, prior, $500 fine. James R. Hayes, 43, Fort Fairfield: failure to stop, remain, render aid, personal injury, filed on $300 costs. Austin J. Bouchard, 20, Westfield: OUI (alcohol), $500 fine, 150-day license suspension. Chad E. Brewer, 41, Blaine: harassment, 15 days in jail; violating protection from abuse order (three counts), 15 days in jail (each). Douglas Gough, 50, Mapleton: criminal mischief, 10 days in jail. Derek B. Demerchant, 31, Fort Fairfield: illegal placing of bear bait, $200 fine; failure to carry license, dismissed. Timothy L. Philbrick, 26, Easton: unlawful possession of scheduled drug, $400 fine, 48 hours in jail. Thomas Donahue, 27, Presque Isle: attaching false plates, dismissed. Dallas R. Tidd, 51, Presque Isle: OUI (alcohol), two priors, $1,000 fine, 364 days in prison all but 60 days suspended, two years probation, six-year license suspension; operating while license suspended or revoked-OUI, $700 fine, 30 days in prison, one-day license suspension; operating vehicle without license-conditions/restrictions, 30 days in prison; violating condition of release, 30 days in prison. Michael J. Mills, 31, Presque Isle: domestic violence assault, 60 days in jail; $300 restitution; criminal mischief, 30 days in jail; obstructing report of crime, 30 days in jail. Douglas Gough, 50, Mapleton: violating protection from abuse order, six months in jail, one year probation; violating condition of release, dismissed. Chelsea Sue Holmes, 29, Presque Isle: domestic violence assault, dismissed. Parry Corey Gagne, 21, Portage: criminal mischief, dismissed. Clyde Eastman Jr., 56, Ashland: driving to endanger, $575 fine, 30-day license suspension; fail to stop, remain, provide information, $250 fine; failing to make oral or written accident report, $250 fine. Shelby York, 27, Presque Isle: operating while license suspended or revoked, $250 fine. Brooke Robinson, 19, Masardis: driving to endanger, dismissed; disorderly conduct, offensive words, gestures, $300 fine. Dallas R. Tidd, 51, Presque Isle: domestic violence assault, 60 days in jail; domestic violence terrorizing, 60 days in jail; theft by unauthorized taking or transfer, 30 days in jail; violating condition of release, 30 days in jail. Devin Cray, 21, Presque Isle: theft by unauthorized taking or transfer, $200 fine; operating vehicle without license, $150 fine. Shelby L. York, 27, Presque Isle: theft by unauthorized taking or transfer, dismissed. Denise R. Wood, 32, Machias: discharging firearm or crossbow near dwelling, $250 fine; violation of rule, moose zone, $200 fine. Olivia Y. Martin, 28, Caribou: operating while license suspended or revoked, $250 fine. Matthew G. Walker, 26, Carmel: shooting from motor vehicle-NSD, $200 fine. Douglas L. Chapman, 20, Seneca, S.C.: domestic violence assault, $300 fine, 48 hours in jail; violating condition of release, 15 days in jail. Ethan Brady, 27, Bridgewater: theft by unauthorized taking or transfer, $200 fine; criminal trespass, $250 fine. Bruce A. Bechard Jr., 28, Presque Isle: operating while license suspended or revoked, prior, filed on $300 costs. Randy L. Fulton Sr., 50, Mars Hill: violating protection from abuse order, $250 fine. Alex G. Lewin, 21, Marsardis: furnishing liquor to minor, $500 fine. Olivia Y. Martin, 28, Caribou: operating while license suspended or revoked, $250 fine; violating condition of release, $100 fine. John Joseph Wright, 54, Presque Isle: violating condition of release, four days in jail. Ryan Hayes, 43, Easton: operating while license suspended or revoked, $250 fine. Thomas L. Heath, 62, Sidney: hunting under the influence over 21, $400 fine. Raymond C. Sherbure, 69, Washburn: shooting from motor vehicle-NSD, $200 fine. Nathaniel R. Grandchamp, 21, Orono: shooting from motor vehicle-NSD, $200 fine. Luke E. Freeman, 39, Wells: violation of rule, moose zone, $300 fine. Lynn Andrews, 46, Presque Isle: theft by unauthorized taking or transfer, $200 fine, $10 restitution. Derek B. DeMerchant, 32, Fort Fairfield: operating while license suspended or revoked, prior, $500 fine; violating condition of release, $250 fine. Norman A. Owen Jr., 45, Brunswick: shooting from motor vehicle, $200 fine. Austin A. McManus, 22, Fort Fairfield: motor vehicle speeding: 30-plus mph over speed limit, $350 fine. Laverne F. Greene, 59, Presque Isle: criminal trespass, $150 fine. Terry Chasse, 50, Mapleton: OUI (alcohol) $500 fine, 150-day license suspension. Douglas L. Chapman, 20, Seneca,SC: theft by unauthorized taking or transfer, 48 hours in jail, $10.97 restitution; violating condition of release, 48 hours in jail. Joseph R. Oldenburg, 22, Presque Isle: violating condition of release, 72 hours in jail. Alfred E. Amaral, 29, Caribou: assault, $300 fine, 45 days in jail, $159 restitution; refusing to sign criminal summons, dismissed. Paul E. Belanger, 50, Caribou: operation of defective vehicle, filed on $100 costs. Glenn R. Cusack, 56, Scarborough: unlawful possession of wild animal or bird, $300 fine. Douglas L. Chapman, 20, Seneca, S.C.: operating vehicle without license, $250 fine. Evelyn Sock, 55, Presque Isle: violating condition of release, dismissed; violating condition of release, dismissed. Randy D. Norsworthy, 62, Presque Isle: resident muzzle loading hunting without license, $100 fine. Elden J. York, 64, Ashland: shooting firearm, bow and arrow, or crossbow over way, $200 fine. Frances Elizabeth Maguire, 39, Fort Fairfield: habitually truant student, dismissed. Kevin L. Forsman, 54, Fort Fairfield: habitually truant student, dismissed. Taylor K. Lovely, 31, Mapleton: allowing dog to be at large, $50 fine. James D. Dee-LaPointe, 33, Woodland: operating unregistered ATV, dismissed. Jesse D. Sutherland, 31, Fort Fairfield: operating ATV on public way, $100 fine. Ryan Hayes, 43, Easton: operating unregistered ATV, $200 fine. Melisa M. Jones, 45, Ashland: operating unregistered ATV, $200 fine. Michael J. Umphrey, 43, New Port Richey, Fla.: operating/permitting operation with no ID/validation displayed, $500 fine.